Cover Run celebrates the awesome work of the cover artist elite. 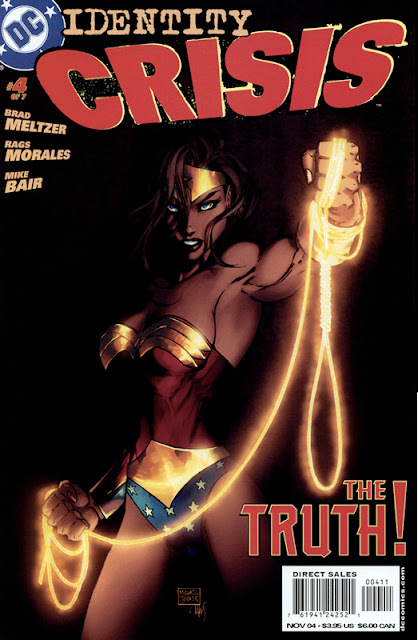 This round, as the second part to a tribute of the amazing cover work by the late Michael Turner, I spotlight the top six covers he did at DC Comics, home to much of his greatest work. When you need to launch a hip teen title, who better to draw the cover than the guy who had pubescent boys the globe over drooling with Fathom? Plus who didn't want to see Turner's Starfire? I love artists who go to town with locations like Krypton, and really make them seem out of this world. Here Michael takes a thoughtful Supes and shows no matter what costume he's wearing, in the right hands the icon is always iconic. 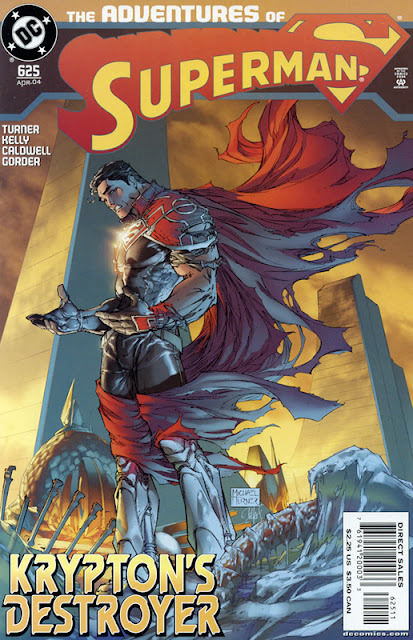 For the top four DC / Turner covers, click through to the next page. This list could have easily been made from Turner's covers for Geoff Johns' run on The Flash. This one in particular was stuck to the cover of my diary I loved it so much - and have never looked at the Professor Zoom the same way since. Like the infamous "No Capes!" scene in Pixar's The Incredibles, it always bugged me when Red Tornado's cape was drawn floating above his vortex, defying the laws of physics. With attention to detail like that, and the wind currents themselves, Turner took an unpredictable subject and made him one of his best. Fans wanted to see Turner's Wonder Woman and they got it. With a look that would make criminals willingly hop in the noose, over the alternative impending beating, Micheal turned one piece of beauty into another. Just watch where you put that signature Mike! 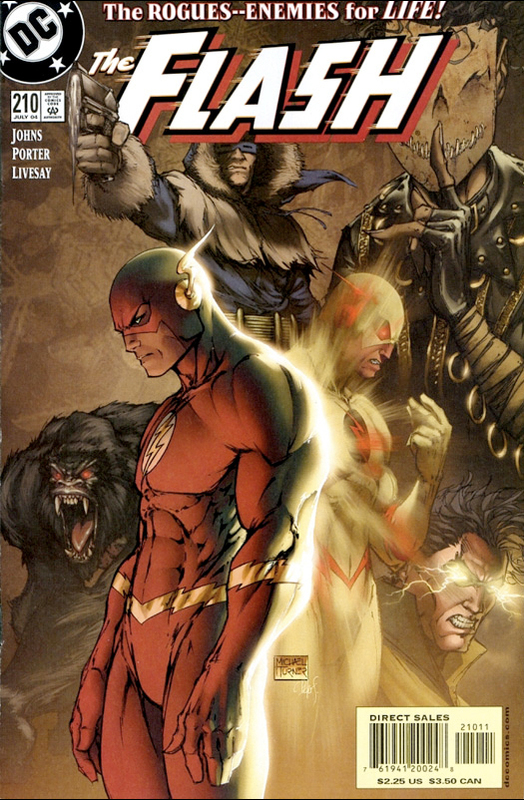 Ask me what cover was it a crime to put the logo over and I'll probably answer The Flash #211. Again it's a pretty straight forward idea, but Turner's execution and tiny touches put it beyond light speed. 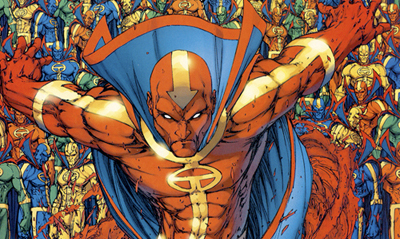 For Turner's Top 6 Marvel covers, click here. What do you think of these beauties? 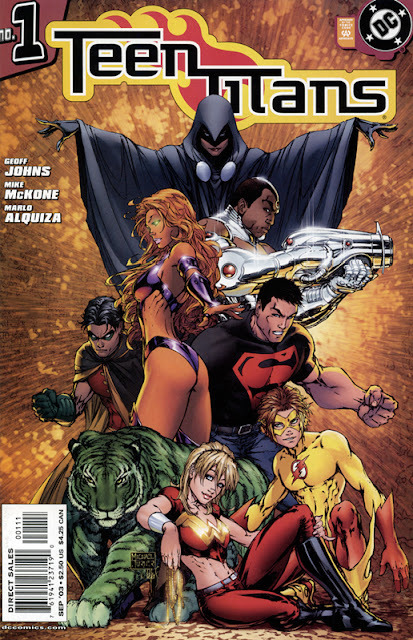 And what DC based Michael Turner covers do you remember? 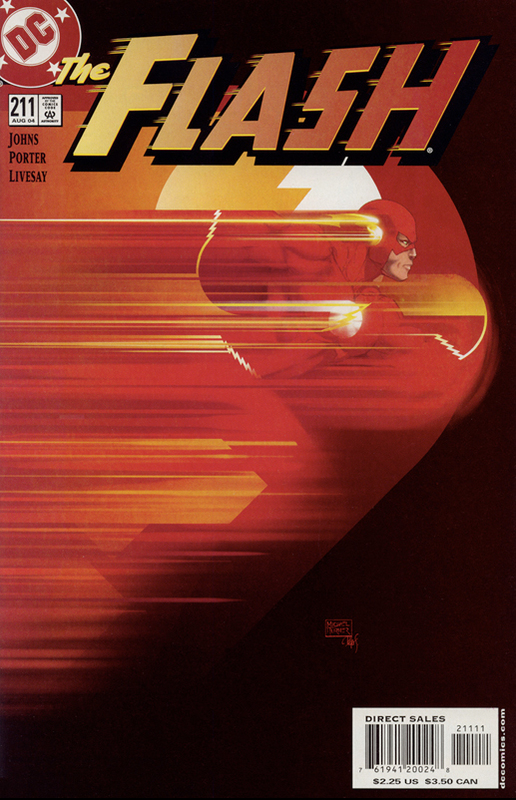 The cover of Flash 211 just proves that if you can really draw, you don't need a lot of crap mucking it up. It just goes BAM. And draws you right along with the speed force. The guy did some amazing work. Thanks for sharing his legacy with us Dan. 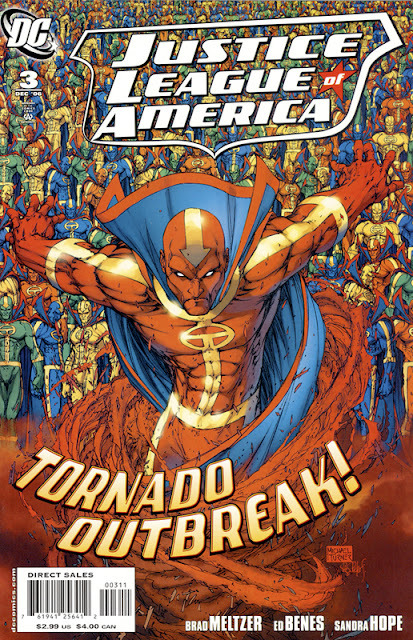 I've seen that Red Tornado cover before (maybe here?) and it's still one of my favorite depictions of him. Completely agree Random (boy I find myself saying that line a lot!) there's no masking true talent. You probably have seen that Tornado cover here in the past Craig! Like you it's one of my favourite images of the guy too. I loved Turner's work, but even more inspirational was his off the drawboard battle. In my scrapbook I still have an article on that story... truly inspiring stuff.